Rowe. Killed in action in a midnight attack by the enemy in Flanders on December 14th 1916. 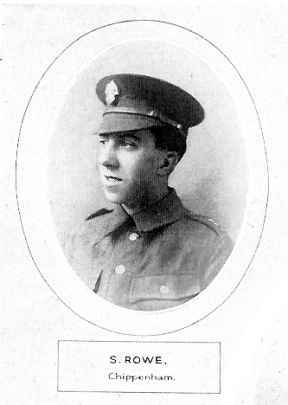 Pte Simeon Rowe aged 23, Royal Fusiliers (Bankers Battalion), youngest and dearly loved son of Mr and Mrs Simeon Rowe, Fowey, Cornwall. But what put glory of grace into all that they did, is that they did it of pure love for their country. Former Swimming Club Secretary Killed. Alderman and Mrs S Rowe, Fowey, Cornwall have received the sad news that their youngest son, Simeon was killed in action "in bravely resisting a heavy night attack of the enemy." He was attached to the Royal Fusiliers and assisted in the taking of Flers on September 15th, when he received a slight shrapnel wound in his leg. On that occasion, the GOC commended his Commanding Officer on having taken the most advanced position in the capture. Just prior to the fateful action of the 14th inst., he had been officially asked to take up a commission and was expected to home on leave early in the new year. The chaplain of the Division writes " that he fought bravely and with great demeanour, he was always loyal to duty and ready to help a comrade; he was endeared to all who knew him and we shall all miss him". He was laid to rest in a small cemetery with the rites and prayers of the Church of England and his sorrowing comrades attending. 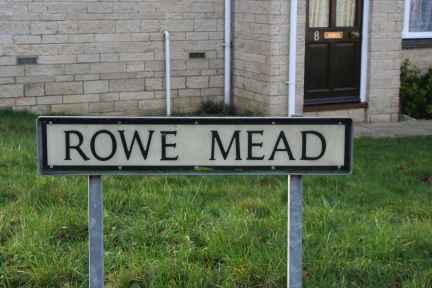 Pte S Rowe came to Chippenham about six and half years since, taking up a youth position in the Capital and Counties Bank. His duties were most satisfactorily performed and his progress a success. Later in his career he was invited to become the honorary secretary of the Swimming Club. His services, which put the club in a sound position, were appreciated by the committee and presented him with a wristlet watch on his leaving in January last to join up. He was a member of the Parish Church Choir. Mr and Mrs Rowe have 4 other sons, one a prisoner since October 1914. A third son (civil service) who was severely wounded on July 2nd and is still in hospital. Another son (bank cashier) is serving in HM Navy and another is a checker in munitions work, having failed to pass for military service.